Sports events are always fun activities. Whether you are the one playing the games, or the one hosting or organizing the sporting event, it is always a fun activity not only for you but for everyone involved. In this article, we will be discussing sports invitations and how to create them for your own sports event. We also listed down some examples that you can download and use as a reference when you will be creating your own sports invitation. 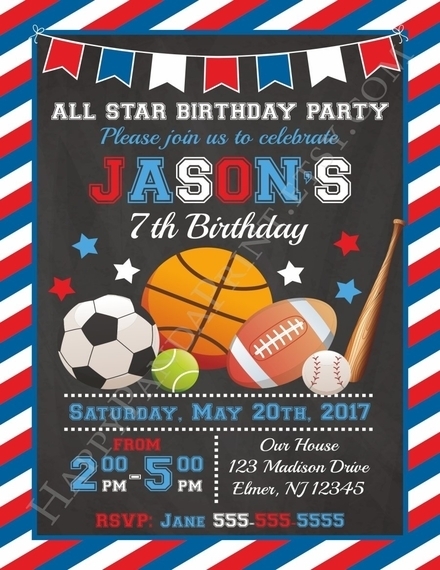 Listed below are the elements in creating an effective sports invitation. 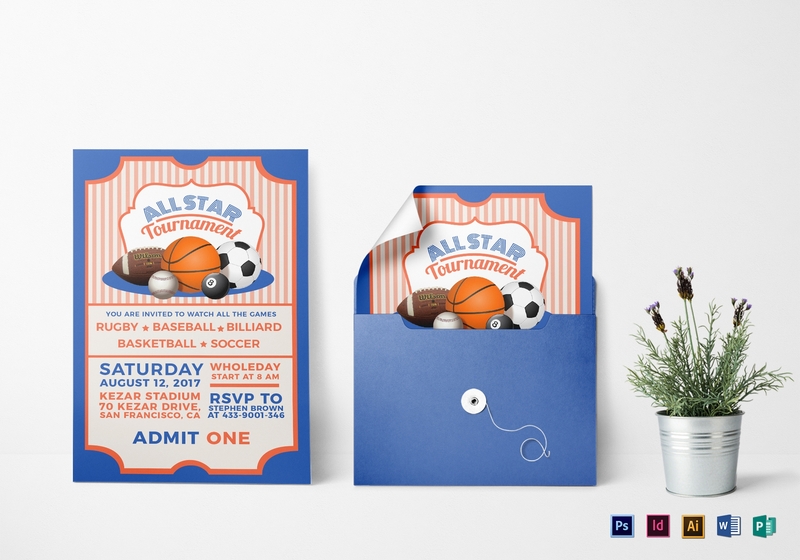 Take note to include all the elements so that your sports invitation will be effective and visually appealing. 1. Name of event: The name of the event is the most essential element of a sports invitation. Without the name, the people you are inviting will most likely not attend your event anymore because they don’t know the name of the event they are attending. 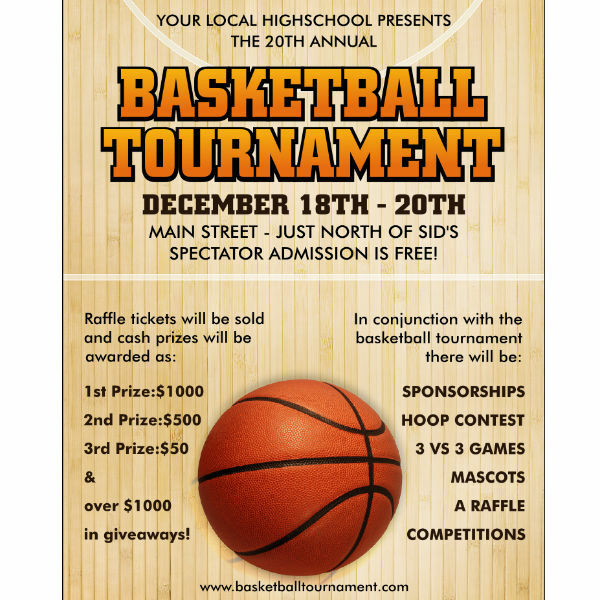 Make sure when listing the event name, it should compromise the biggest font size in the entire sports invitation. 2. 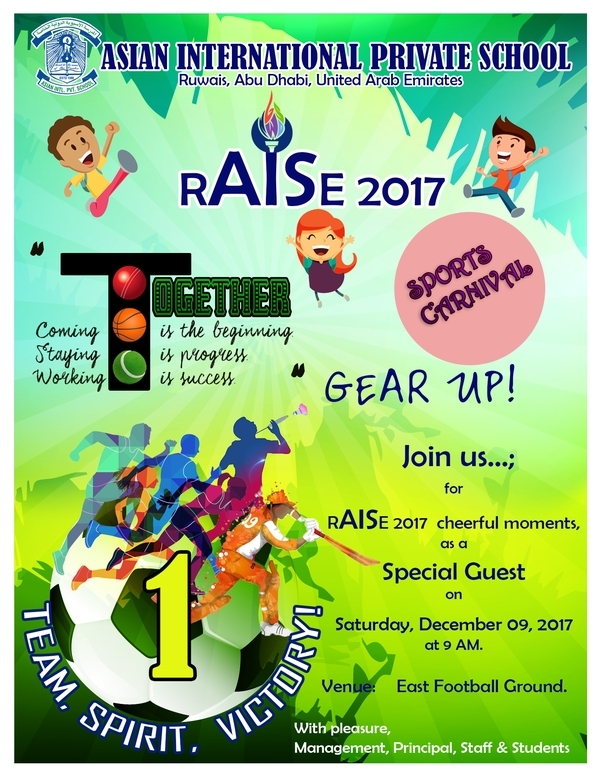 Date of event: The name of the sports event, together with the date, time, and location comprise the “fantastic four” of the sports event. The date is as important as the event name, as your guests will not be attending if a date and/or time and location cannot be located in the invitation. The font size for the event date may not be as large as the event name, but it should still be prominent. 3. Time of event: The time of the event is the third element of the sports invitation’s “fantastic four.” Same as the event name, the font size should be prominent but not as large as the event name. If you have multiple pages for the invitation, don’t place the event time at the second or succeeding pages. 4. 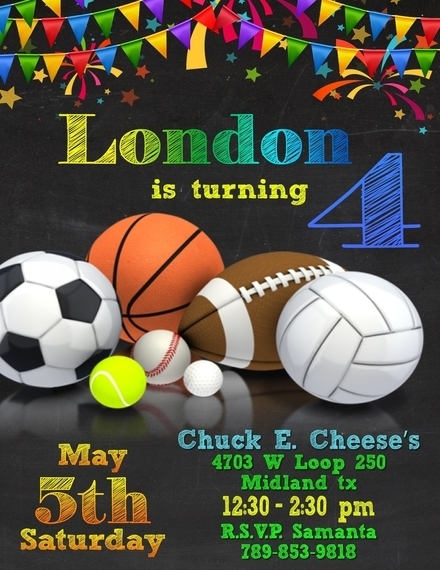 Location: This is the fourth element of the sports invitation’s “fantastic four.” You can make the font size of the event location as large as the event name since most of your guests will be traveling to that location for the sports event. Also, never place the event location at the succeeding pages of the invitation if your invitation has multiple pages. 5. Contact details: Contact details is also an important element of a sports invitation and is usually placed for RSVP purposes. Include your name (or a representative’s name), contact number (mobile and/or landline), and email address. You can list down the contact details in the succeeding pages or even the last page of the sports invitation. 6. 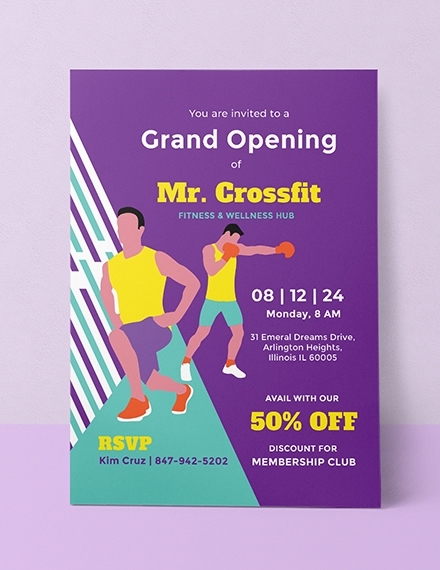 Graphics or images: Although graphics or images is not mandatory for a sports invitation, it is still something that you should consider when creating an invitation. 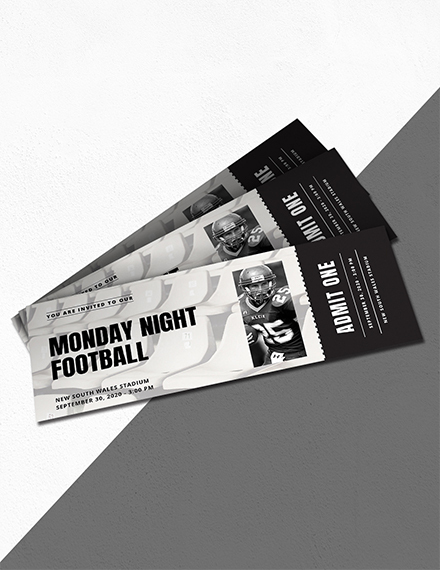 Graphics, images, or pictures add to the visual appeal to the sports invitation and will probably increase the chances of guests attending your event. Apply these very simple tips for an effective and visually attractive sports invitation that will increase the chances of guests attending your event. 1. Choose between a portrait or landscape orientation: Every design starts with the type of page orientation you will be using. Choose between a portrait or landscape orientation, with the former being more suitable for numerous images while the latter being more suitable for numerous texts. If you will be using less text and less images, portrait is much more appropriate. 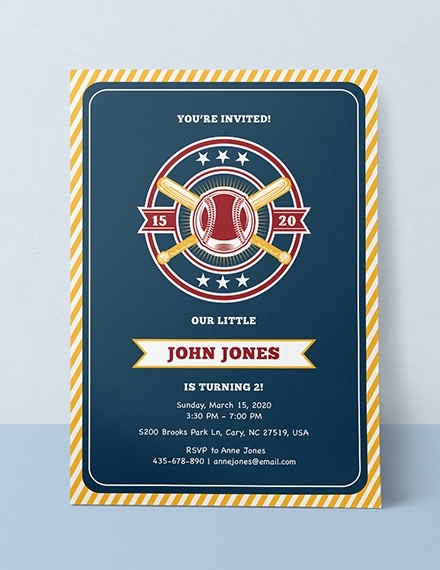 You might want to check out some birthday invitation designs as reference. 2. Use sports-related themes: Essentially, you will be using sports-related themes for your sports invitation. These themes are not difficult to find as they are readily available in the internet. 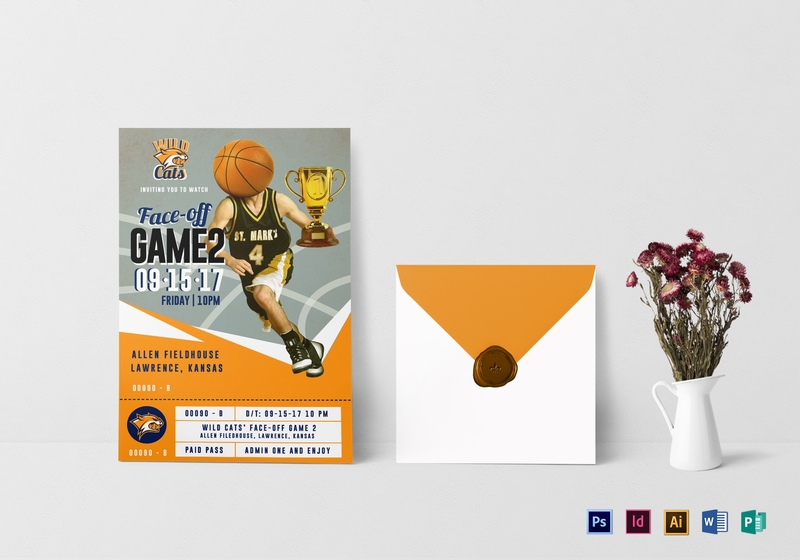 If you will be creating a basketball event invitation, use images of an orange basketball, or if you will be creating a soccer game invitation, use an image of a person playing soccer. 3. Use vibrant colors: Sports events are physical and fun activities. That is the reason why you should use vibrant colors to perfectly represent sporting events. You can go for lighter shades of blue, red, green, and orange and maximize the use of yellow. You can even utilize white and gray, but try avoid using black as much as possible. 4. Use “sporty” font styles: What exactly is a “sporty” font? It is more or less a font that is similar to school or university fonts printed in varsity jackets and athletic apparel. Sporty fonts are also characterized with sharp curves, bold fonts, and thick border. 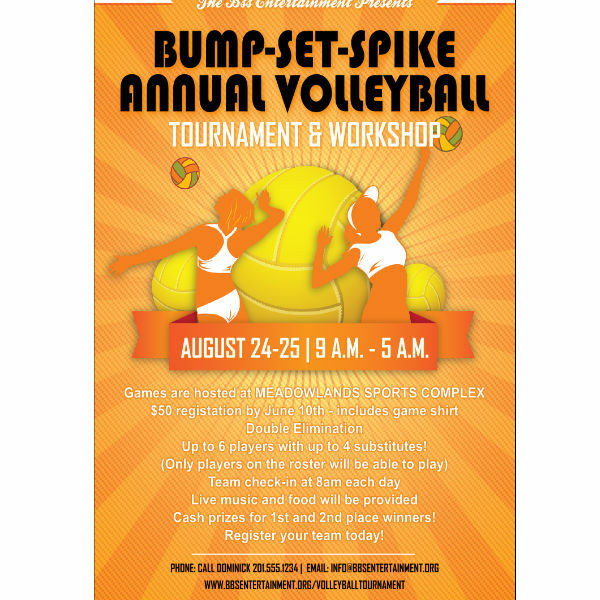 Although sporty font styles add to the visual appeal of the sports invitation, they are not mandatory. 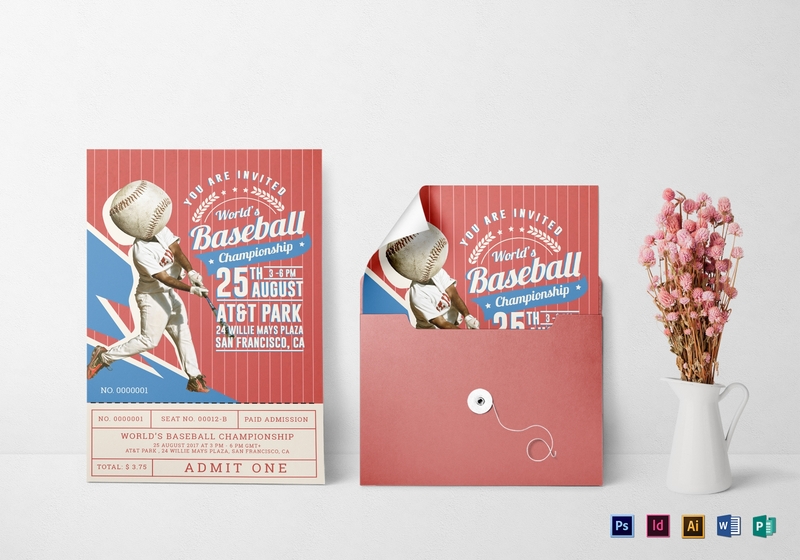 You can use any font as long as it matches the theme or concept of a sports invitation. 1. Decide on your theme: The theme of the sports invitation will depend on the sporting event you are hosting. If you are hosting a basketball event, the theme you use will be different if you will be hosting other sports events such as a football or volleyball event. The theme of your event will help you determine what designs or illustrations to use mostly for your guests to appreciate them. However, you can also decide on a theme for your invitations that is closely similar or related to the theme of your event. 2. 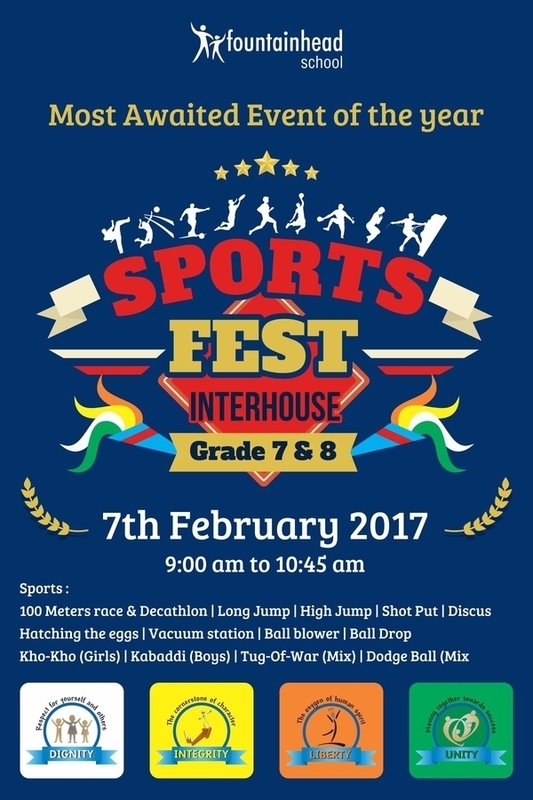 Choose your preferred layout: After deciding on the theme, it is now time to choose the layout for your sports invitation. For this type of invitation, it is better to choose a lively, dynamic, and energetic layout. Additionally, decide on whether you will be choosing a one-paged, bi-fold or tri-fold invitation, similar to a brochure. Also decide if you will be using a portrait or landscape orientation for the layout. 3. Look for appropriate templates: As previously mentioned, we have provided some free templates that you can download. 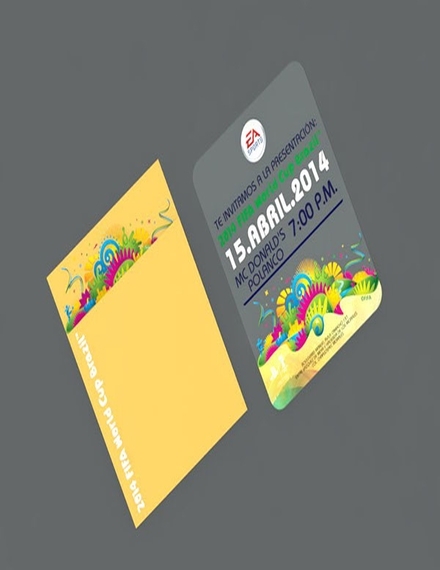 Choosing from our templates will let you create a more effective template; in this case, a sports invitation. The sizes, layout, and design are all accounted for in the templates we provided. You just need to add a little bit of text and graphics and you’re all set. 4. Prepare your content: Speaking of text and graphics, it’s now time to prepare the content for your sports invitation. Make sure the text can easily entice and your points are easy to understand. Draft out your content first, then choose the font style, font size, images, and template that you will be using. It will be much easier and much faster for you to finish the invitation if you prepare beforehand. 5. Make the content and insert necessary designs: Once you have everything planned out, it’s now time to convert the draft or layout into the final product. Make sure the text is visible and readable, the colors not too bright nor too dark, and the images complement the text and the colors. 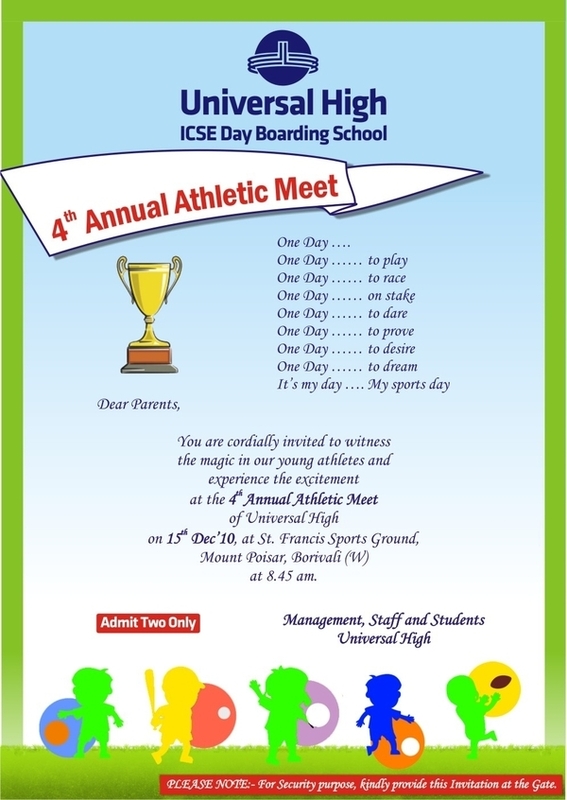 There has to be a balance in the elements that you are incorporating in the sports invitation. 6. Proofread and edit: Make sure there are no errors in the sports invitation before you send it for printing. Proofread each and every element and double-check for errors in typography and in the design. You definitely do not want to make revisions after you have printed the invitation and see that there are glaring errors. 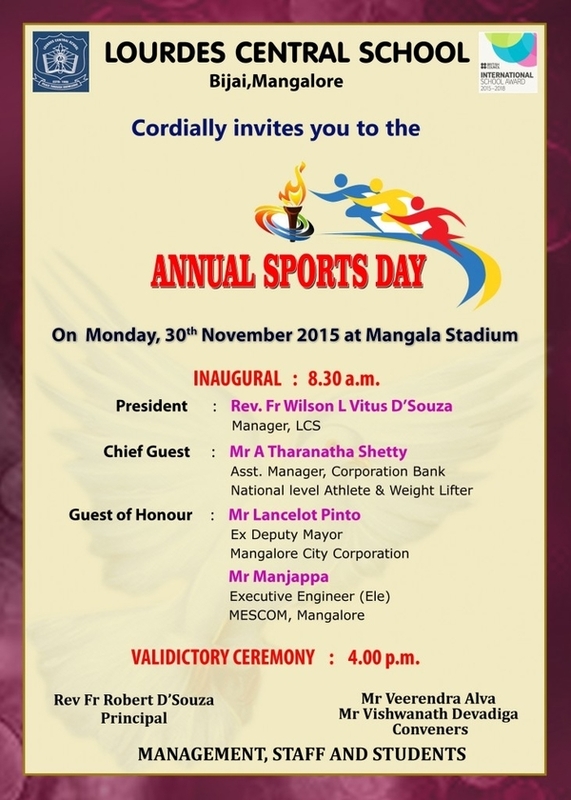 Why is a sports invitation important? Invitations are important because they inform the individual or group of individuals that they are invited to an event. The event will also be a failure if guests do not attend and are not informed ahead of time that they are invited. Giving out invitations also exude professionalism, as you do not want to inform your guests a few days or (worse) a few hours before the event that they are invited. 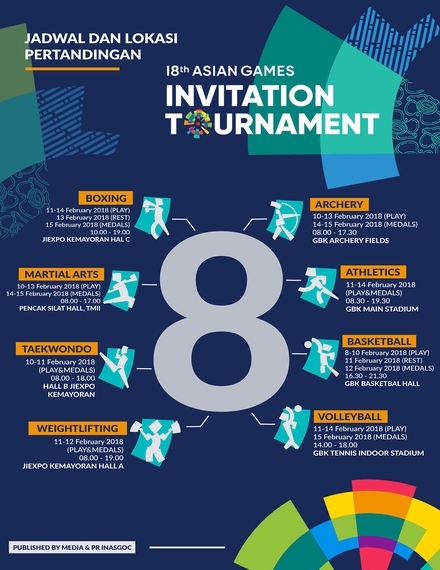 We hope you found this article to be helpful as well as informative when you will be creating your own sports invitation. Game on!